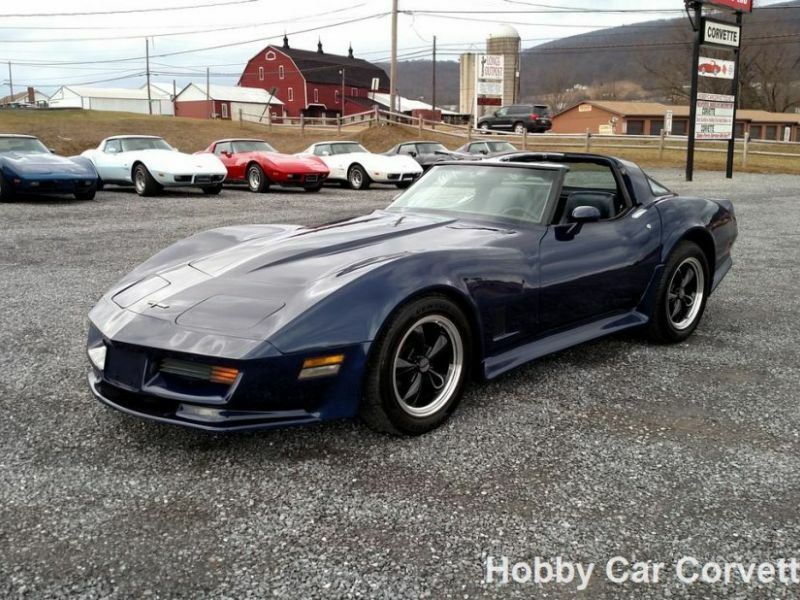 1980 Chevrolet Corvette for sale - Classic car ad from CollectionCar.com. 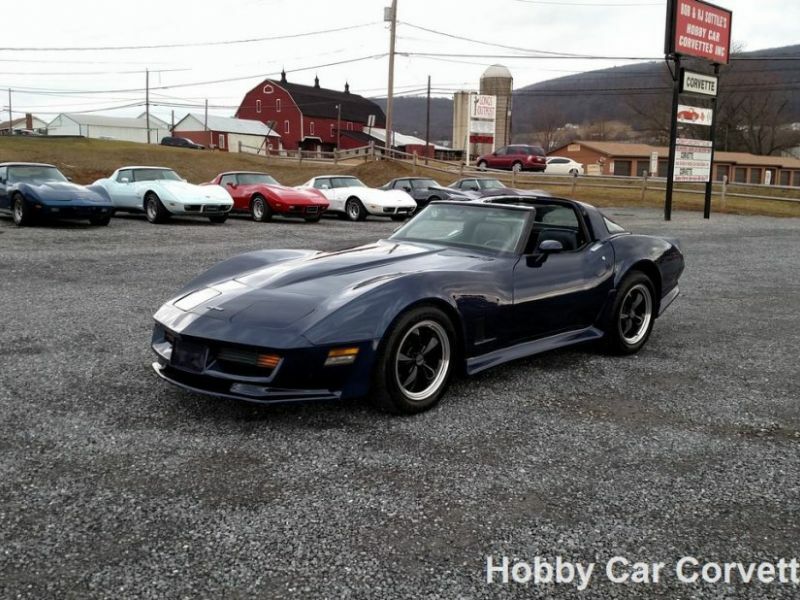 Numbers matching, L48/350, 4 speed manual transmission, dark blue leather interior, 46,564 miles on dash, power steering, power brakes, power windows, A/C, 17" alloy wheels, ground effects kit, tilt and telescopic steering column, chrome valve covers, chrome air cleaner, and much more. 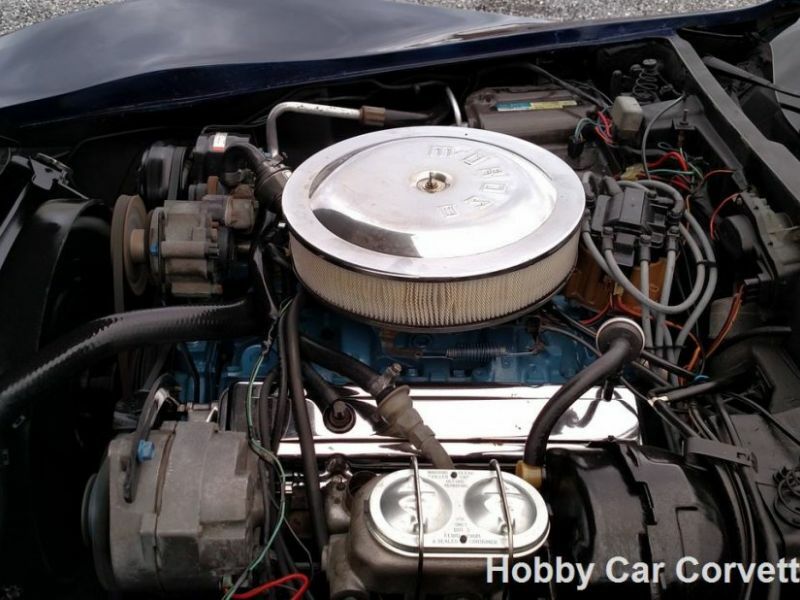 We changed the oil and filter and checked and lubed the chassis. 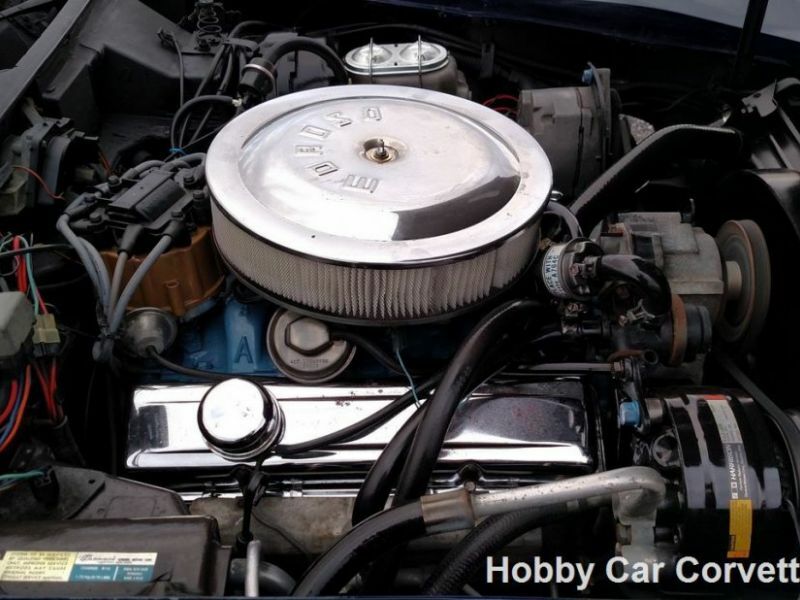 We replaced the idler arm, sway bar links, water pump, and ignition module. 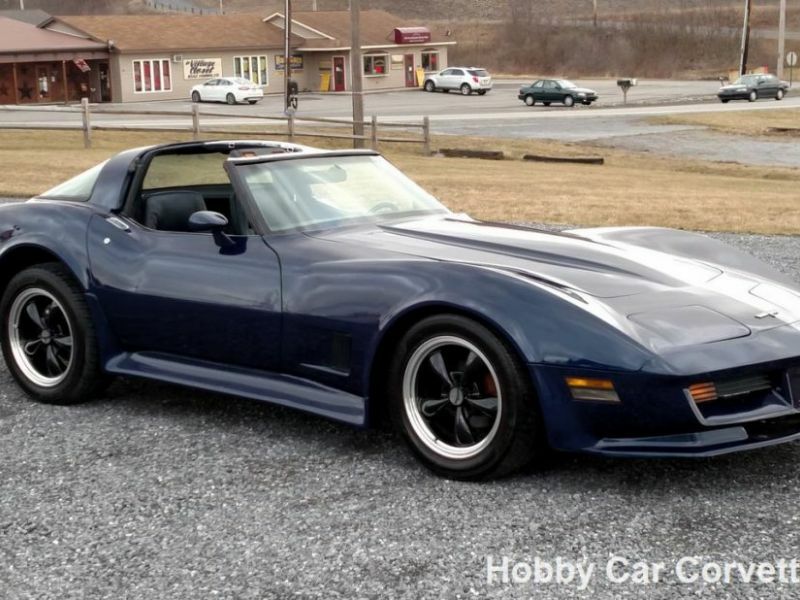 This corvette seems to run, drive and shift nice. 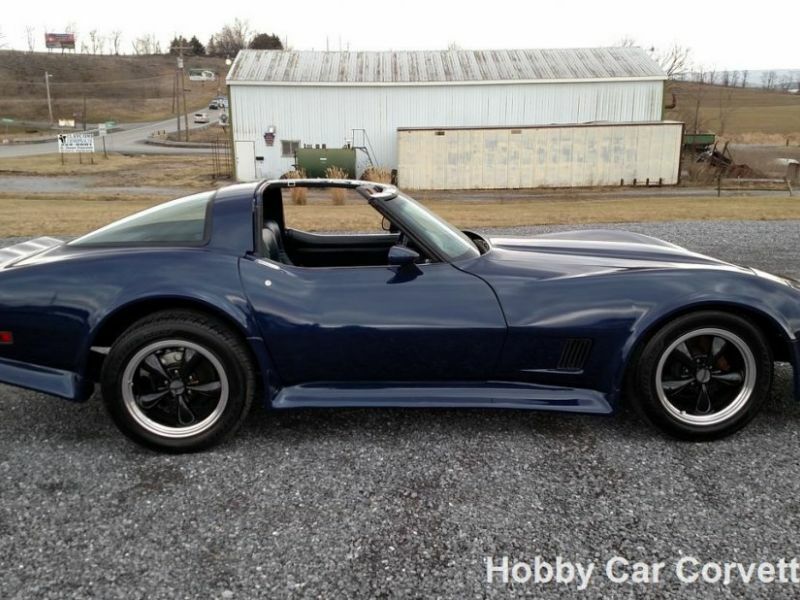 It will make someone a fun corvette to cruise around in. 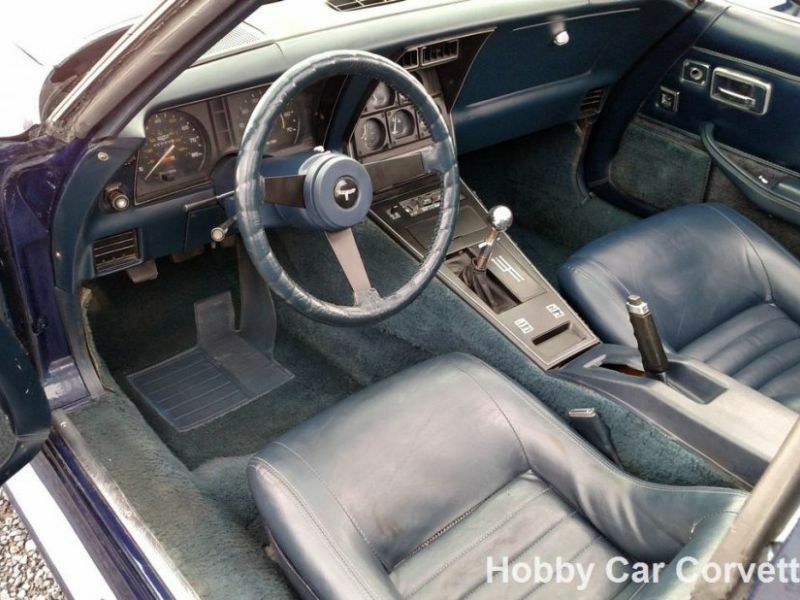 1980 was the last year for no computers in a Corvette. 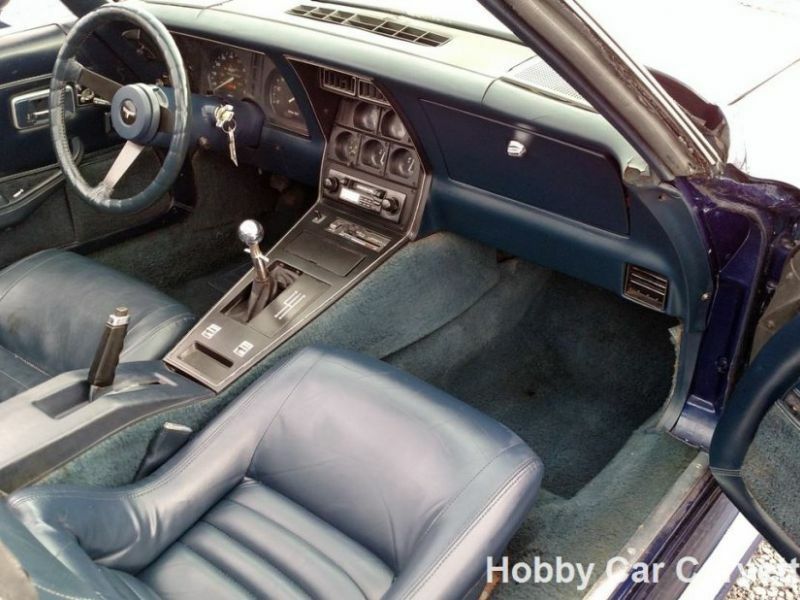 GM produced 5,726 4-speeds Corvettes out of 40,614 total production in 1980.